The holiday season brings with it a barrage of advertisements, on television, online, in your inbox, and printed in magazines and newspapers. 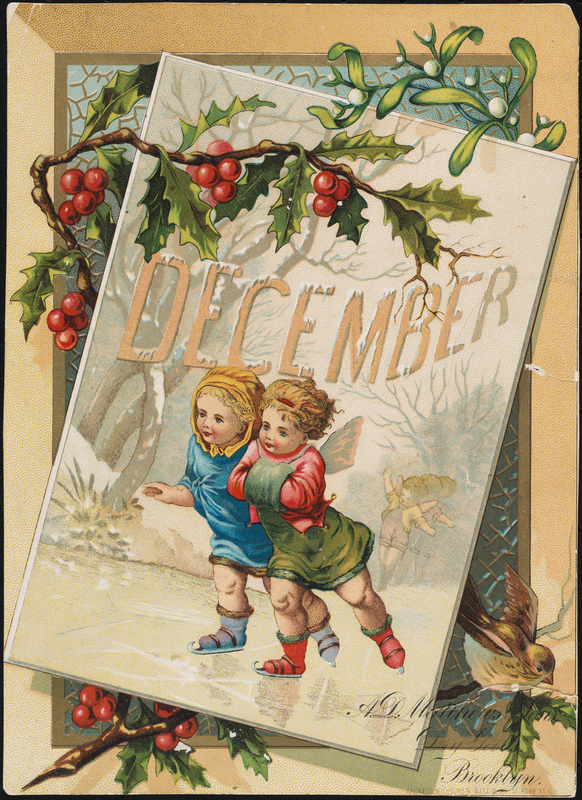 The holidays are also a time for sending greetings, whether they be emailed, mailed, or sung. 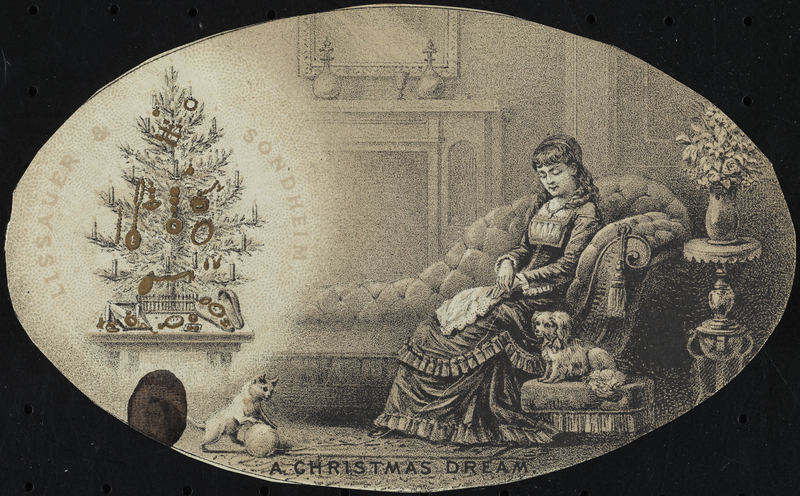 Mailed cards depicting festive scenes have long been a popular form of holiday greeting. 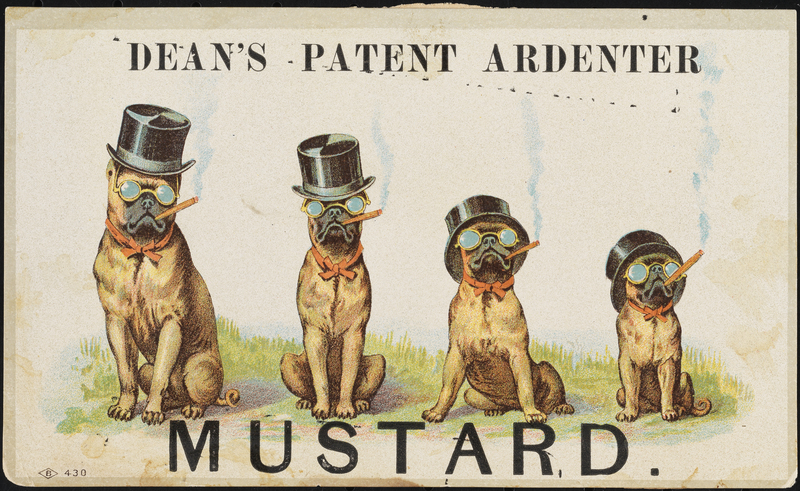 The Museum’s Collection on Advertising includes numerous trade cards, which are a combination of the two – part greeting and part advertisement. 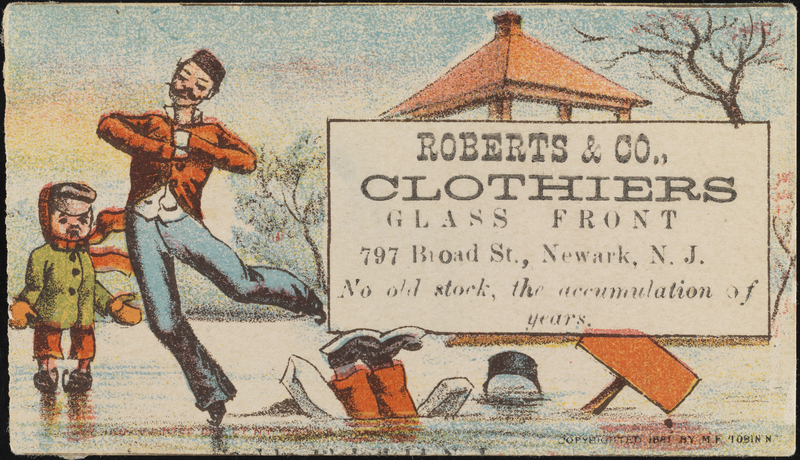 Trade cards were a popular form of advertising during the late 19th century, when they were distributed by shop owners and salesmen, and included with customers’ orders. 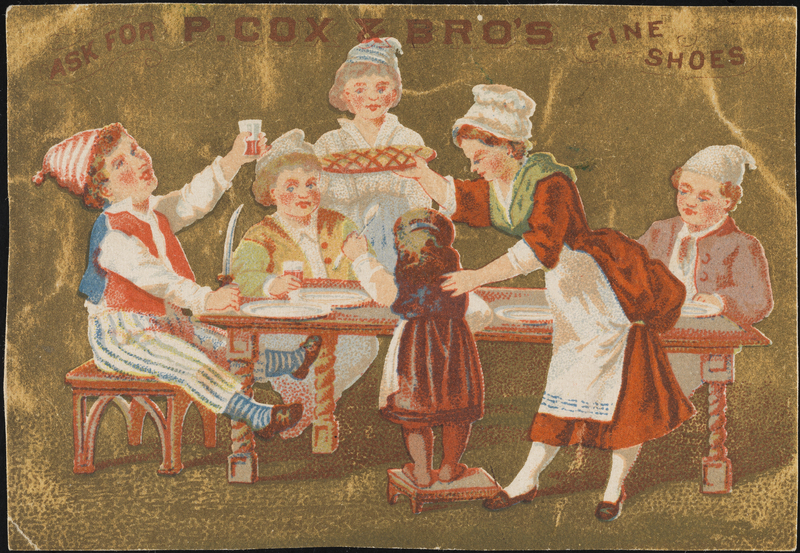 The cards often featured colorful graphics and humorous, sweet, and sometimes peculiar imagery. 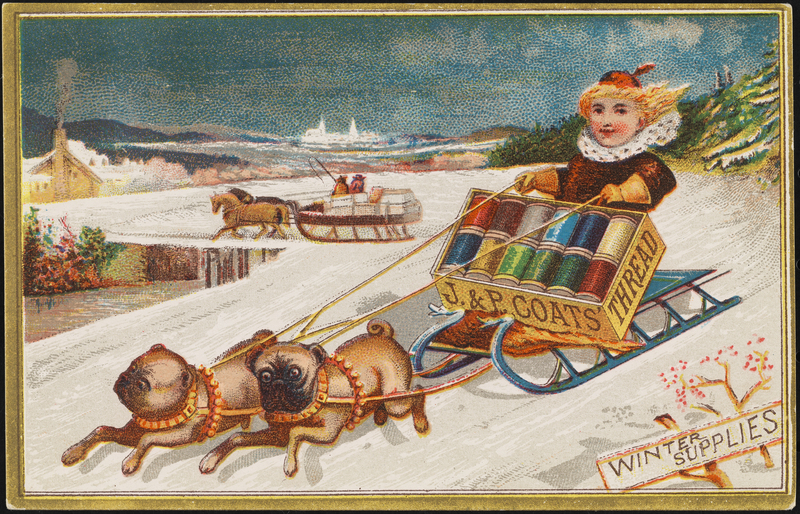 Some of the trade cards in our collection were produced specifically for holiday advertising. 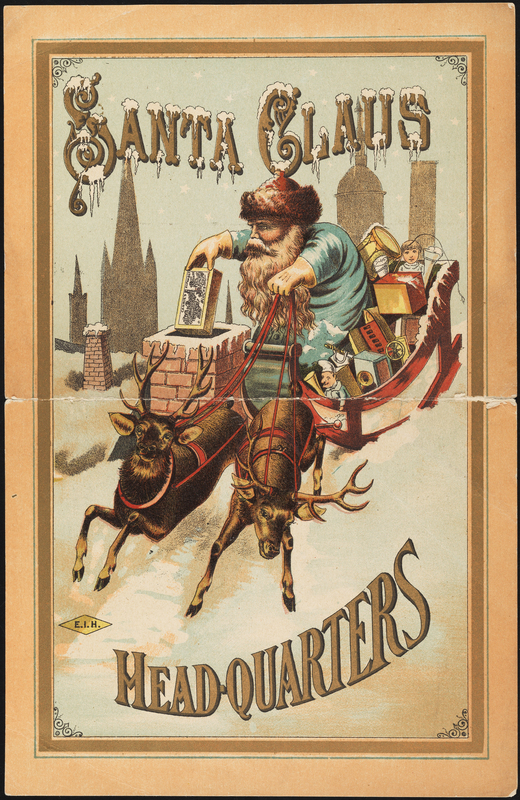 The establishment proclaiming itself “Santa Claus Head-Quarters” was E.I. Horsman, an importer, exporter and manufacturer of dolls, toys, and games located on William Street in Lower Manhattan. 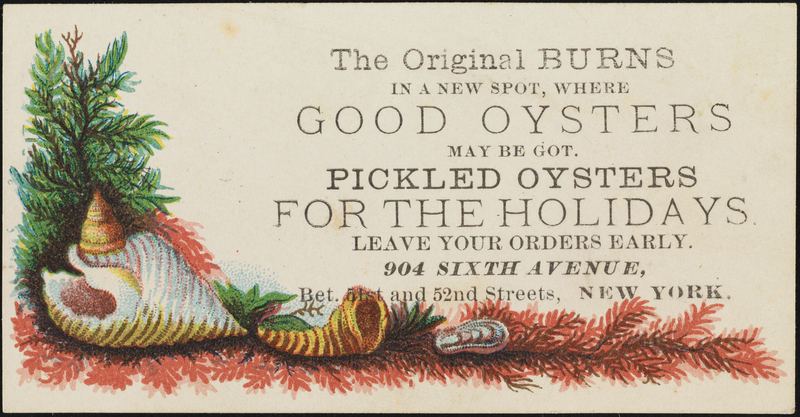 Other establishments marketed their goods as suitable for the holidays, perhaps as gifts or as part of the holiday feast. 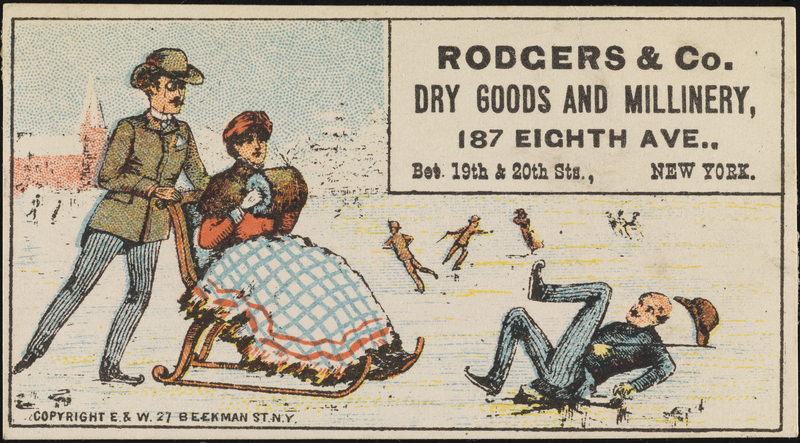 Many of the cards depict seasonal scenes, no matter what the advertised product was. 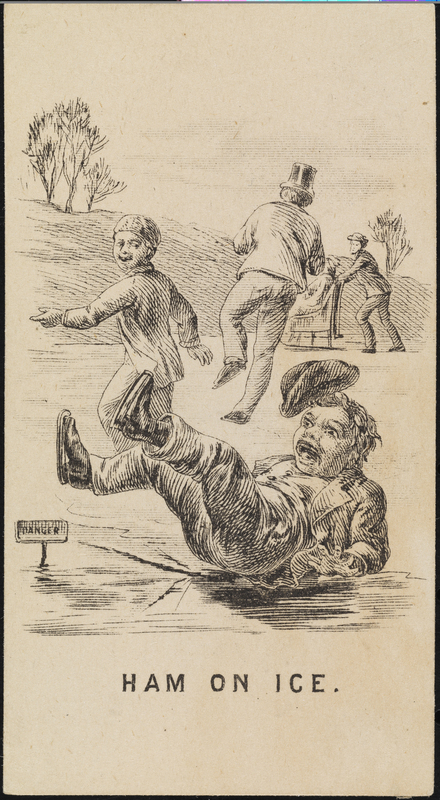 Sledding and skating – and falling down while skating – are popular themes. Would it truly be the holiday season without a little over-indulgence? 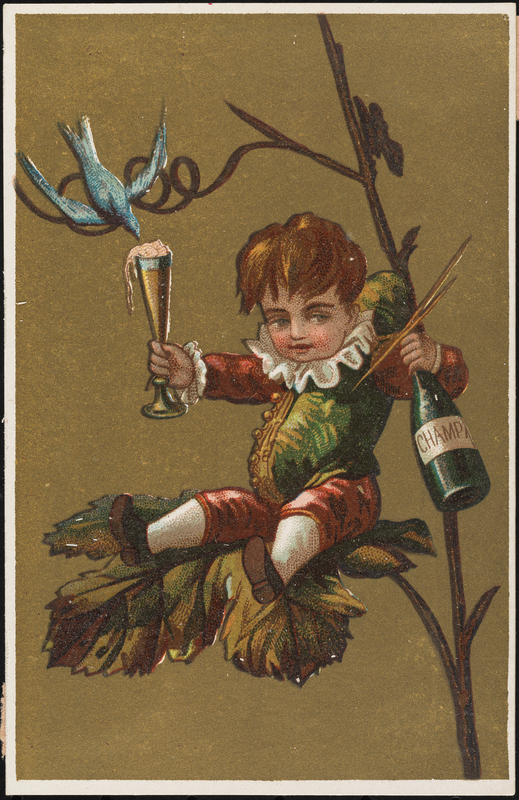 Debauchery abounds in the trade card imagery, especially that engaged in by children and animals. 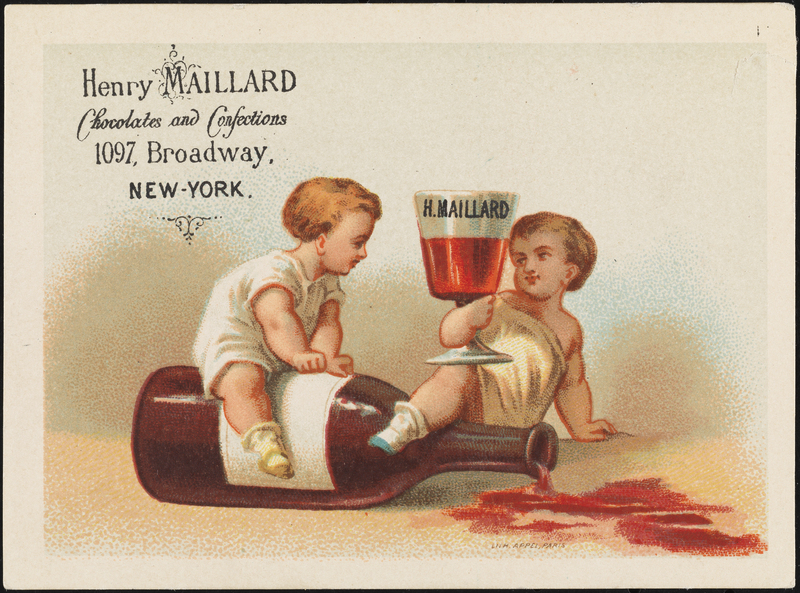 To learn more about how advertisements have been used throughout New York City’s history check out our premier exhibition, New York at Its Core, which features a 19th century cigar box label and ca. 1855 sign for the Croton Brewery, among other objects from the Museum’s collections. 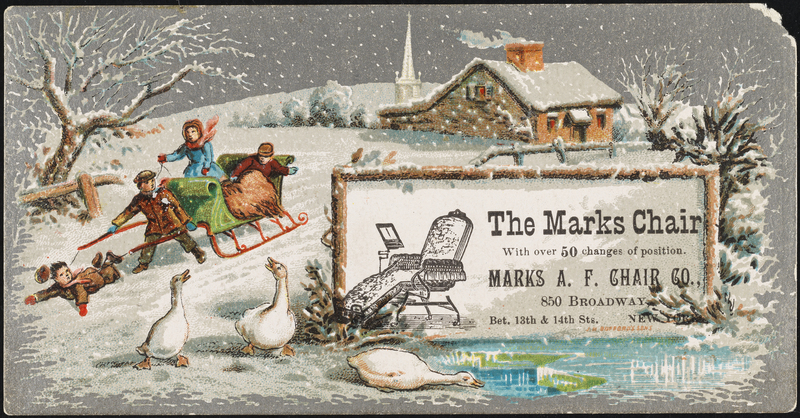 This entry was posted on December 27, 2016 by Emily Chapin in Manuscripts and Ephemera and tagged 19th century, Advertising, Christmas, Ephemera, Holidays, Manhattan, Winter.